We are excited to introduce our guest blogger, Doranna Anderson. Doranna is the Comprehensive Cancer and Control Program Consultant for the Cancer Prevention and Control Branch at the NC Division of Public Health. When I read a recent post from the Prevent Cancer Foundation about how they started a Salad Bowl Day at their workplace I thought about how much fun employees could have sharing a meal together and enjoy each other’s company during a healthy lunch. With all the summer crops coming in, it’s a great way to enjoy the fresh fruit and vegetables and add in some protein or whole grains for a wonderful fresh salad. This article makes it easy to plan the event, they already have a sign-up sheet prepared: Start Your Own Salad Bowl Day. Here are the Cancer Prevention and Control Branch, we thought we would give the Salad Bowl Day a try at our latest team meeting. It was a success! 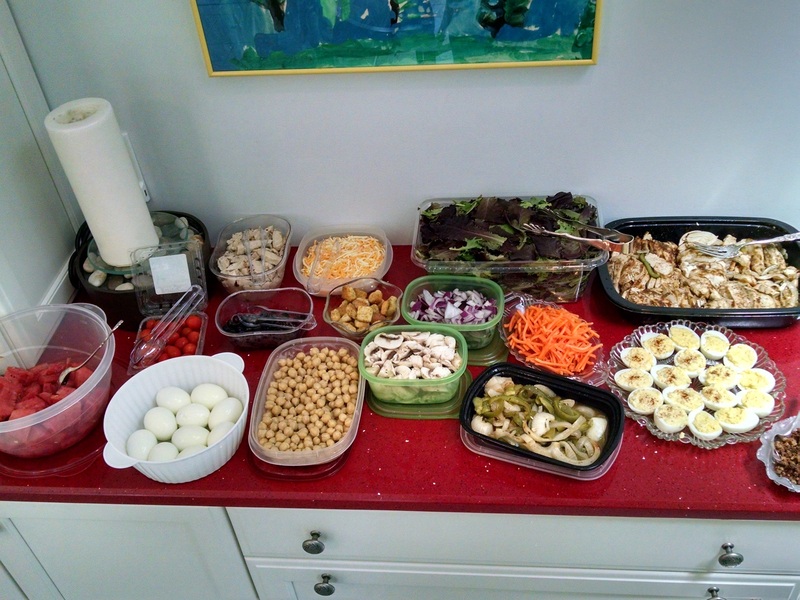 Employees had fun planning and preparing what they would bring as well as making different salad combinations on the day of the event. Some even tried new healthy toppings they hadn’t had before! 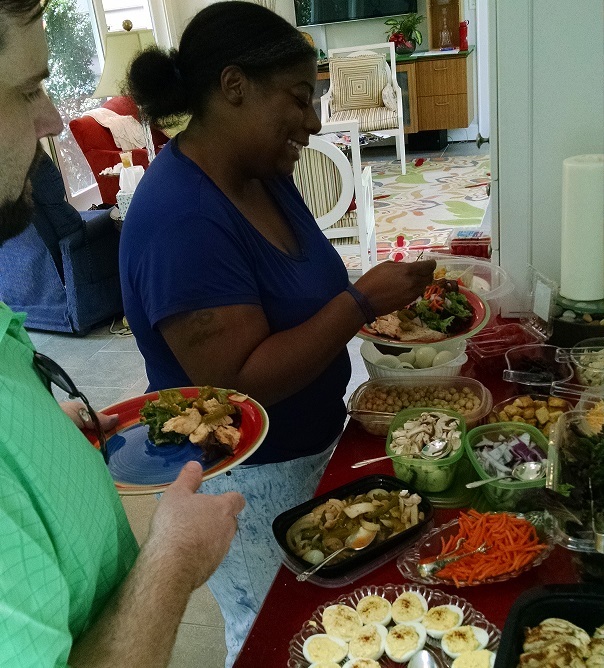 It allowed us to have a healthy meeting and a healthy meal. So, enjoy planning a Salad Bowl Day in your workplace and know it is a great way to have some fun at work while you play a part in supporting others to prevent or reduce their risk for cancer. For more cancer information visit www.preventchronicdiseasenc.org.